Check this post to learn an effective way to speed up iOS 9 performance on your iPhone/iPad when it gets bogged down. Apple offers free update of its new iOS 9.1/9.0.1/iOS 9 for previous generations devices like iPhone 4s/5/5s/5c/6/6 Plus. Well, a quite number of the older iPhone/iPad owners say that the iOS 9.0.1 slow down iPhone/iPad largely since then. The lag is apparent when using multitasking feature. 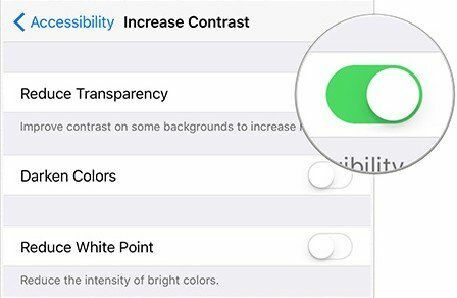 “I am using iPhone 6 plus , after installing the new ios 9 My phone performance came down ., especially when multitasking the performance is poor “—Apple Community. Is this a conspiracy by Apple to convince users to buy the new iPhone 6s or iPhone 6s Plus? Lots of iPhone 4s owners are worrying about updating to iOS 9 will ruin the device. There is no proof to complain Apple is doing this. Then is there something we can do when iPhone runs slow on iOS 9 without buying a new iPhone 6s? Certainly there is. We recommend you an iOS optimization and speed up tool- Tenorshare iCareFone(iPhone Care Pro). Designed for both Windows and Mac OS X, Tenorshare iCareFone can improve iOS 9/8/7 performance on slow iPhone/iPad/iPod touch by removing junk files including app caches, app cookies, temp files, crash logs and more. Download and Install iCare to Windows or Mac, and then connect your iPhone, iPad, iPod touch to computer via USB cable. Follow the steps below to fix sluggish iPhone /iPad after updating to iOS 10, 9.1, 9.0.1 or iOS 9. There are five big feature sections in this program; all is designed to help improve iOS performance in different aspect. Please click Speedup & Cleanup section. Here you can get know how much space is avaible and how much space is used. Also the program will estimate how much available space can be released after junk files removal. Click Quick Scan on the bottom to detect junk files on your device. Step 3: The scanning results are listed here. Click Clean next to the items to remove junk files and temporary files from your device right now. In addition, Photos allows you to compress pictures on device without quality loss so that you can largely reclaim space. 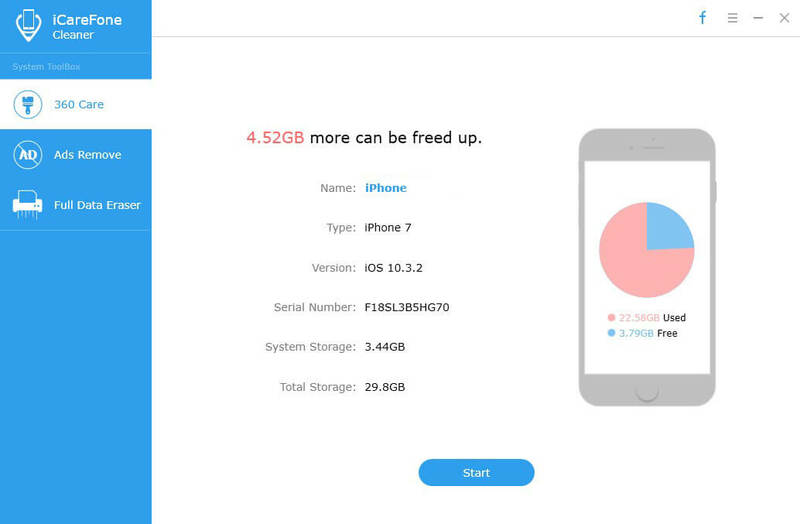 This is the easy but effective way to remove unwanted files that are eating up the storage and make your iPhone/iPad run faster. Aside from removing junk files, Mac iPhone Care Pro includes many other features that you can use to improve iOS performance, for example, you can remove in-app ads to enjoy ads-free app, transfer photos/videos/audio to computer to free up storage, or backup & restore iPhone without iTunes. By the way, if you accidently lost your previous files on your iPhone/iPad/iPod, come and get use Tenorshare iPhone Data Recovery for Mac to restore your contacts, messages, pictures, notes, etc.